Workplace wellness originates from people being human to each other. We encourage openness, and we listen and discuss a lot. 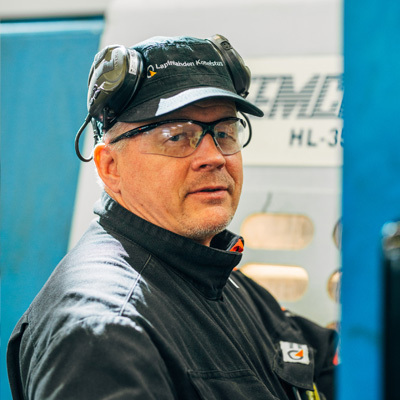 Some of the best ideas are born amongst turning and grinding machines. Lapinlahden Koneistus is the best place I have worked at during my long work history. Firstly, the basics are there: wages get paid on time, the machines are modern and the work environment clean and functional. When a development project is underway, thoughts and ideas from the shop are taken into account and appreciated, which means that things actually get implemented. That benefits everyone, the machinists and customers alike. The work atmosphere is good, and it is nice to go to work at 6 AM. I have gathered that customers appreciate Lapinlahden Koneistus as well. "Here the employees’ observations and opinions are heard and they are taken seriously. Everyone takes part in developing instead of orders coming from above. Organic development is really put in practice, and you can tell when development ideas are advanced. The work community is happy and relaxed, and I can see that my coworkers take pride in what we do. A good atmosphere is really important, and it is a lot more fun to work when you can ask for help and discuss problems together. I believe that our customers like to do business with us, because information sharing works well and cooperation is straightforward." 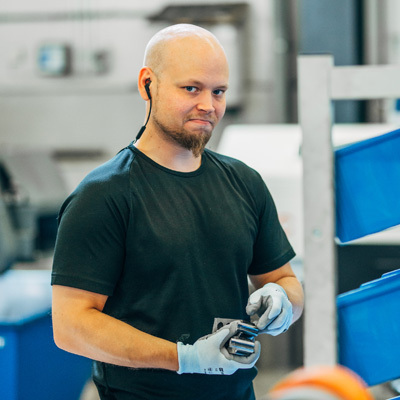 When our customers place an order, they are buying reliability and peace of mind. We take pride in being part of something bigger through them.